If you're a fan of mermaids and you're looking for fantasy, romance, or young adult books, you're in the right place! Get ready to dive into the most popular and bestselling new mermaid books. Lia Nautilus is not your typical mermaid; she lives on land in a secret community of land-dwelling Mer in Malibu. After the Little Mermaid took away mer’s immortality with a curse, war has broken out all over the seven seas. Although Lia is a mermaid, she has all the issues that any normal girl her age has. Between juggling school, family, and her feelings for a human boy, Clay Ericson, she has her work cut out for her. Lia tries to deny her feelings for Clay, but cannot help herself. She knows that it would never work out, a human and a mermaid; that is just crazy! If she did date a human, she could risk her whole community being discovered. It is probably for the best that Clay is dating the new girl at school, even if there is something strange about her. Lia finds that the new girl has a huge secret as well and that her plans may focus on Clay. Lia decides that she needs to save Clay, but if Lia’s parents found out that she was falling in love with a human, they would freak out. As Lia gets closer to Clay, she can’t deny her feelings anymore. Lia is determined to stop the new girl from winning Clay’s affection. Emerge is an all-around fun book. It’s a true page-turner from one of the most talented new voices in modern YA, Tobie Easton. 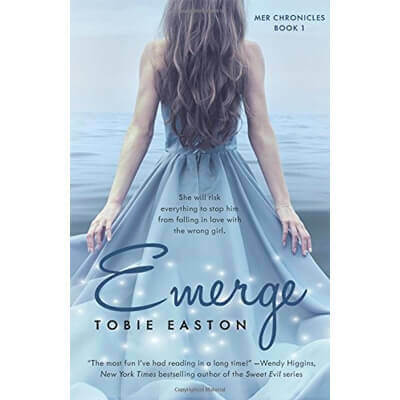 Already a bestselling title, Emerge is book one in the Mer Chronicles, with book two coming next summer. It’s our top pick on this list of mermaid books for young adults and mermaid books for teens. In our recent poll on social media it was your winner, being voted best mermaid book series. So what’s the verdict? We highly recommend that you check it out and get lost in this magical romance. Galen is a Syrena prince who is on a mission to find Emma, who can supposedly speak to fish. When Galen sets out to find Emma, her literally runs into her on the beach and is immediately taken aback by her. Emma is also very interested in Galen. After their short encounter, Emma goes surfing with her friend, Chloe. When Chloe is taken under by a shark, Emma dives after her to save her best friend. Watching from the shore, Galen goes into the water to assist Emma. Upon seeing Emma and Chloe, Galen witnesses Emma speaking to the shark to release Chloe. The shark responds by letting Chloe go and swims off in the opposite direction. Galen is a Syrena, which is almost like a merman and they have violet colored eyes. Galen was sent on a mission to find Emma by a man who believes she can talk to fish and is a Syrena because of her purple eyes. Galen ends up following Emma to New Jersey and goes to school with her where they become closer. As they are getting closer, there is so much that Emma still is in the dark about. She doesn’t know Galen is part fish or that she may be the missing princess of Poseidon! This book is a page turner that will keep you on your toes as Emma finds out who she is. 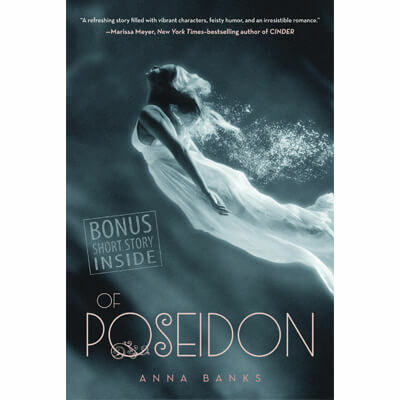 Of Poseidon is the first book of the Syrena Legacy series. Anna Banks has written this series that is sure to keep you on your toes. It’s a great series and therefore number two on this list of the best mermaid books for adults. Gemma Fisher feels like she finally has got life figured out. She is beautiful, loving, easy going and falling in love. She and Alex have always been friends since he is the boy next door. During this summer, they have progressed their relationship into the next level, and her feelings for Alex grow every day. She might even be falling in love! But there is a trio of strangers in town that are sisters; Lexi, Thea, and Penn. These sisters have enigmatic powers and have been keeping a close eye on Gemma. These sisters decide to include Gemma in their tight-knit group, and Gemma notices a change in herself. As she begins to know the new version of herself, she must choose between her new life that is filled with secrets or stay at home with the people she knows and loves. 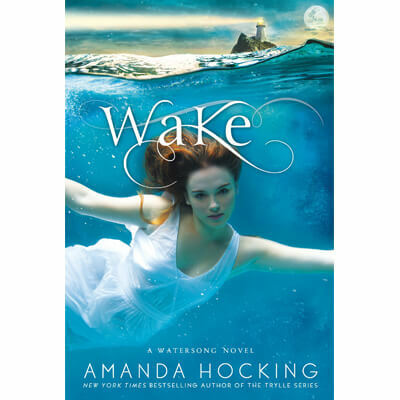 Wake is the first book of four in the Watersong series by Amanda Hocking, a great collection of mermaid books. Princess Margrethe has been locked away in a convent while her kingdom is fighting a brutal war. One day, while she is in the garden that has a visual of the sea, the princess notices a mermaid. This vibrant mermaid is carrying a nearly dead man that she saved. Once she finally reached the handsome stranger, the mermaid was already long gone back into the sea. After taking care of the handsome stranger and getting him back to optimum health, she learns that he is a prince. But he’s not just any prince, he’s the son of her father’s biggest rival. Convinced that the mermaid was sent to save the man so that they could meet, the princess develops a plan to bring peace to her kingdom. As Margrethe is devising her plan, the mysterious mermaid is yearning to return to the stranger she saved. She is willing to give up absolutely everything just to have legs and return to him. 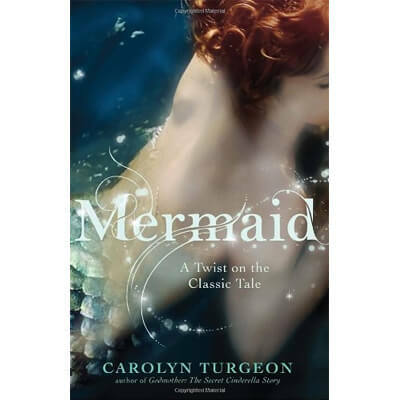 This mermaid book is a great twist on the original fairy tale we all grew up on. After princess Lily Sanderson learns that her mother is a human, she left her home, Thalassinia, to live on land. While she may seem like your typical teenager in high school, she has a huge secret. No one at school knows that she is part mermaid. While trying to keep her secret, Lily is also trying to handle her feelings for swim team star, Brody Bennett. Although Brody is gorgeous and a fantastic swimmer, he could never know her real identity. While living on land has its perks, it also has some challenges as well. One of Lily’s challenges includes her eccentric and loud neighbor, Quince Fletcher. Lily’s biggest challenge is the fact that once a mermaid has a crush, they have that bond for life. While trying to win Brody over, Lily learns that the path to true love can be messy and full of major mistakes. One mistake is a huge case of mistaken identity. 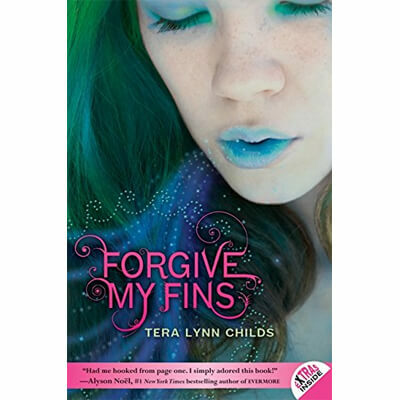 Forgive My Fins is the first book of the Fins trilogy by Tera Lynn Childs. We really enjoyed reading these mermaid books. Tempest Maguire loves living in California and surfing the killer waves that the ocean provides. She also loves to take care of her dad and little brothers. Her longtime boyfriend, Mark, makes her very happy. But Tempest has a secret, she is half mermaid. With her seventeenth birthday quickly approaching, Tempest has a decision to make; stay in California with her family and boyfriend or join her mother in the sea. Tempest doesn’t realize that she has more at stake than just her identity. Her life is in danger since the sea holds deep dark secrets as well. When a newcomer arrives, he is mysterious and just may have common secrets with Tempest. The newcomer is an avid surfer as well. The sea contains passion, romance, and adventure, although Tempest might not be safe. Which will she choose; her home and familiarity in California or the unknown depths and secrets of the sea? 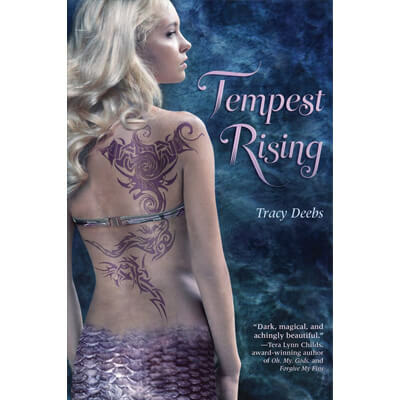 Tempest Rising is the first book of the Tempest Series which includes three teen mermaid books. Ashlyn Lanski is your typical seventeen-year-old girl; she has a best friend, Tatiana and they both can’t wait to leave their hometown far behind for college. Even though she is sick of having a boring life and being single, she can’t wait to leave her crush far behind as well. Her crush is Finley, Tatiana’s twin brother. The only escape from life that Ashlyn has is swimming and hanging out with Tatiana. When her best friend’s family leaves for a family emergency, Ashlyn has a hard time coping. Finley and Tatiana’s family have an easy time blending in at Lake Tahoe while managing their charter company; but as a family, they also hide a very old secret. When Finley, his mother and Tatiana are forced to return to their home, Finley can’t handle being trapped underwater for too long. Their father is also sent on a dangerous mission. Lake Tahoe holds many deep, dark secrets, can a kiss save them all? 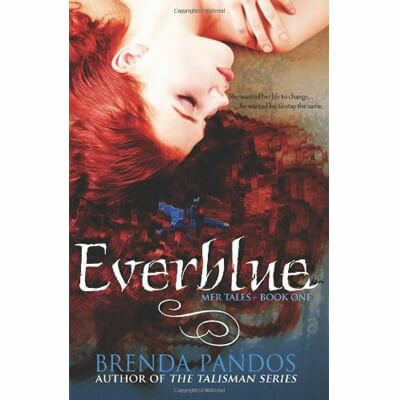 Everblue by Brenda Pandos is the first book in her four-book series, The Mer Tales. When Kahlen joined the rest of the Sirens, she was given the same speech that every siren before her was given. They cannot talk to humans or form bonds and keep their secret safe. They can commune with the ocean and speak to the sisterhood of sirens. But they are dangerous and deadly to humans, though. Living as a siren can be a lonely life at first, but once they are finished, they can live any life they choose. They get to choose their life after they give obedience and time. Kahlen is a beautiful siren that has lived by the sisterhood of siren’s rules for many years. She has followed the rules so that she can choose the life that she wants to live one day. When Akinli, a human, enters her life, Kahlen is forced to make a difficult decision. Does she continue to follow the rules of the sisterhood? Or does she leave that life behind her? This book is a page turner that will have your attention until the very last word. Underneath the ocean’s surface, way deep down live the mer people. Mermaid and mermen live lives that are very much like our own; their communities are spread out among all the seas and other bodies of fresh water. 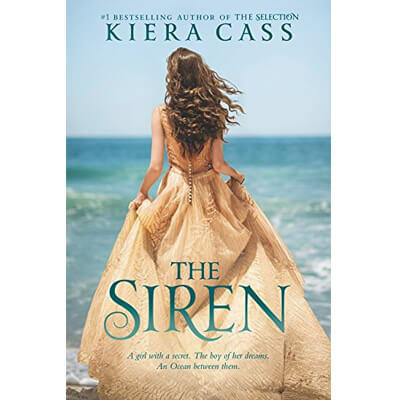 When a mermaid from the Mediterranean Sea, Serafina, wakes up on the day of her wedding, she should be thinking about her soon to be husband, Prince Mahdi. She should be trying to win the love of the gorgeous Prince Mahdi, but all she can think about is the strange and dark dreams she has been having. Her mysterious dreams are more of a premonition that a dark and ancient evil will return. Her suspicions are confirmed when her mother is shot by an assassin with poison arrows. Determined to stop a war from breaking out, Serafina sets out to find the assassin’s boss. To enlist help, Sera finds five other mermaids that are heroines. These mermaids form an indestructible bond that leads them to finding a dark scheme. This scheme threatens every mer people’s existence. Will these mermaids win against evil and save all the mer people? 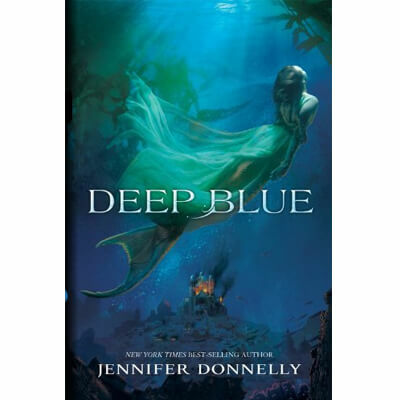 Deep Blue is the first book of two in the Waterfire Saga Series by Jennifer Donnelly. If you love a great mermaid book, check it out! Luce is a fourteen-year-old girl that has been brutally beaten and left for dead. Luce has always had to deal with a rough life, so this was no exception. They left her outside of her Alaskan village on a cliff, with no help around. When she rolls over the side and dives into the icy cold dark waters, she is sure that this is her end. She is surprised when instead of drowning, she begins to transform into a mermaid. A sisterhood of mermaids, all of them very beautiful like Luce, find her and take her in. They have all in their darkest moments, given up their human life to become a mermaid. Luce begins to love her new mermaid life until she learns the biggest catch: mermaids kill men. The mermaids feel obligated and compelled to lure seafarers with their exceptional voices and cause them to drown. Luce has an impeccable singing voice, which makes her an asset to the tribe. Because of her amazing voice, she even has an opportunity to become the tribe’s queen. Although she is now a mermaid, Luce is fighting an internal battle with her humanity, causing tension with her new family. Will Luce give in and lure innocent people to their death? Or will she hold on to her morals? 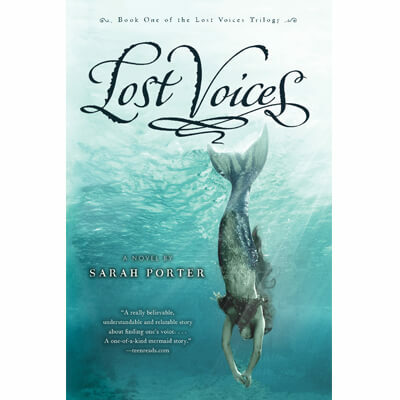 Lost Voices is the first book in the Lost Voices Trilogy Series by Sarah Porter, it’s last on this list but definitely great series of teen mermaid books to check out. Looking for even more merch and gear? Check out our guides for the top Walking Dead Action Figures, Walking Dead Merchandise, and CS GO Knives. And make sure to take a look at these new buying guides for Survival Backpacks, Best Quadcopters Drones, 4K Camcorders, as well as our new iRobot Roomba Reviews. Have fun!